Good that spring is on the way ! love the bicycle, and your friend smile.. I just popped over for a good ol' dose of cc before nodding off to sleep. 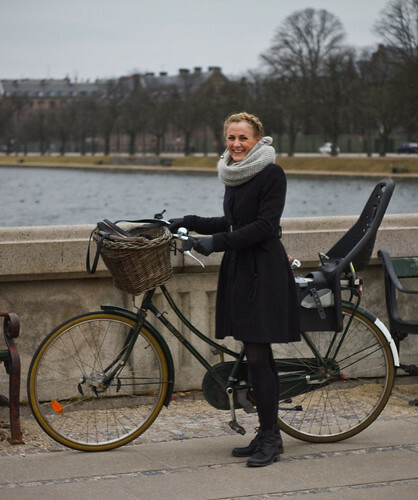 This picture fit the bill perfectly, lovely bicycle, lovely smile, relatable weather. Thank you as always. i love her boots, bike and basket! she's so cute!